Do you dream of having a lawn that’s the envy of the whole neighborhood? Would you settle for a lawn that looks great and healthy, so your kids can go outdoors and play? Even in perfect climates, in lush green communities, people can have issues with lawn care in Atlanta to keep their lawn looking green and vibrant. 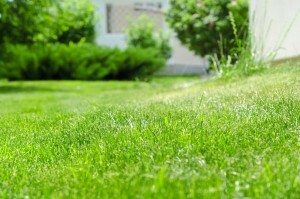 Proper lawn care is important and with these tips, you can keep your grass green all season long. If allowed to sprout and spread in your lawn, weeds will choke out the precious new baby grasses coming up and kill the mature grass across your yard. Weeds spread quickly so staying on top of it is essential. Whether you weed by hand, or you hire a lawncare service to chemically control weeds you can make sure that the grass is literally greener on your side of the neighborhood throughout the season. It’s pretty obvious that grass needs to be mowed regularly and watered to stay green and vibrant, but many people don’t know how much is too much or not enough. The answers to these kinds of questions depend widely on your specific neighborhood and area, so talk to a landscape company that’s worked in your area for several years for guidance. It doesn’t take long to apply fertilizer to your lawn on a regular basis. There are many organic and synthetic products on the market that you may choose from. The best thing to do if you’re wondering what kind to select is to talk to a lawn and landscape professional. They can help you come up with a working plan for ongoing maintenance and repair if your lawn requires it. If you don’t have time to take care of your lawn, know that that’s perfectly fine. Many people don’t. If you want to have greener grass but want to be doing other things other than weeding, mowing, and watering throughout the week, perhaps a good option would be to hire a professional landscape company to take care of it for you. There are usually a variety of maintenance and care plans to choose from, so depending on your budget, it may be more affordable than you think. There are a lot of things that you can do throughout the year to keep your lawn looking green and beautiful all season long, including hiring lawn care services in Atlanta. 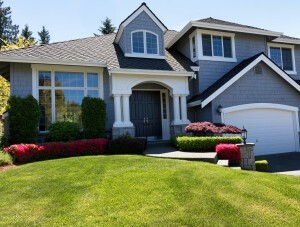 Knowing how to care for your landscaping is a key part of keeping your curb appeal on point, and these tips can help you figure out how to do that.